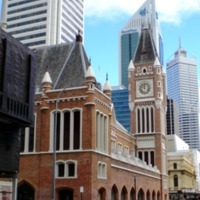 Construction of the Perth Town Hall began in 1867, and the building was officially opened in 1870. Upon the order of Governor Hampton the Town Hall was built as part of a Public Works programme that utilised convict labour. The building was designed by the Supervisor of Public Works, Richard Roach Jewell, and overseen by the Clerk of Works, James Manning. It is built in a Victorian Free Gothic style and exhibits distinctive neo-gothic features such as lancet arches, arcading, pinnacles, and tourelles on the clock tower. The layout of the building is also reminiscent of municipal structures in medieval towns, comprising an open marketplace beneath a hall and a clock tower to one end. The Town Hall clock was a significant feature within the community during the nineteenth and early twentieth centuries as it provided a common time for those who could not afford timepieces. It also provided a central, communal place for Perth residents and gave them a sense of place. 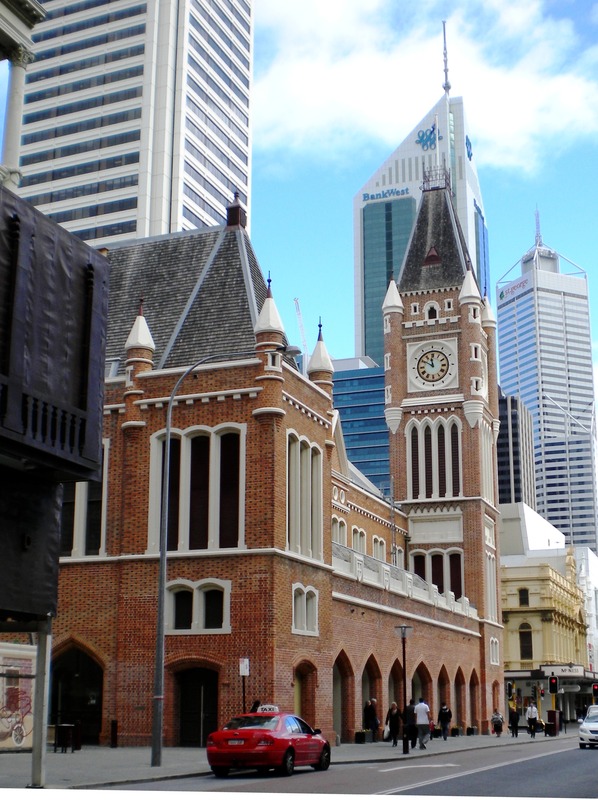 “Perth Town Hall,” Medievalism in Australian Cultural Memory, accessed April 23, 2019, http://ausmed.arts.uwa.edu.au/items/show/15.